I had a great day at school. I don’t know what it was, maybe because it was jeans day, but I smiled like I meant it all day, I got 7000+ steps at school so it was easy to hit my 10,000 shortly after. And we had a dance off in my homeroom this afternoon that was hilarious. After school I went to the gym and then to my parents to get Henry. We got Chinese food and it was delicious. I only had to deduct one point from it for my challenge for the sauce on my chicken and veggies. Now I am sitting on my couch in my pajamas and Henry is playing with his cars on our coffee table while we are jamming to some tunes. 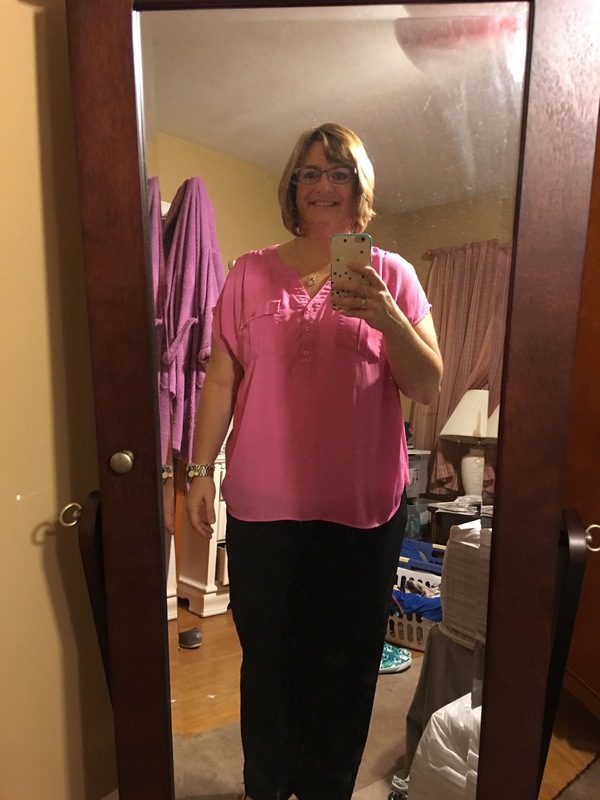 Oh, I meant to post my outfit from Thursday because the shirt is a hand me down is from my BFF Liz, who has lost 75 lbs!!! I shamelessly beg her for her hand me downs. Ignore the messy room. By Thursday that room is a disaster then I clean it all up over the weekend and then we mess it all up the next week. Ok, I’m gonna play with H before we go to bed!